It is the world's best-known national park, with a controversy that no amount of snow can bury. Rosy-cheeked snowmobilers extol the glories of riding through a winter wonderland, while environmentalists decry the noise, the air pollution, and the harm to wildlife. There seems to be no room for compromise. 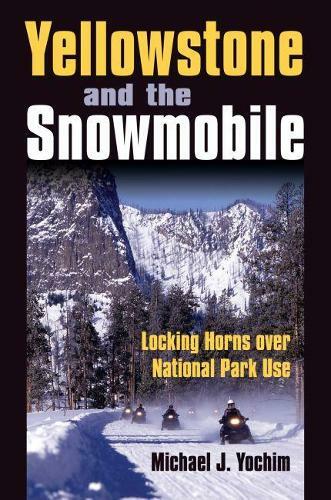 In this first book-length study of winter use in any national park, Michael Yochim examines the long standing conflict between the National Park Service and groups who favor or object to snowmobiles in Yellowstone. By illuminating the fundamental drivers of the controversy - American values, community identity, industry influence, and political tampering with policy - he doesn't merely document the debate but shows how increasingly politicized battles have taken a toll on the autonomy of the NPS and its ability to protect the park. The debate itself, Yochim observes, is not over whether one mode of transportation is more appropriate than another, but whether it is more important to embrace nature's sacredness or one's personal liberties. With motorized snow travel sanctioned for forty years, snowmobilers see their sport as an expression of freedom and rugged individualism, and attempts to curtail their activity as un-American. Conversely, environmentalists see parks as sacred space, so snowmobiles to them are inappropriate in what they regard as a temple. Yochim discusses the political and legal intricacies of arguments on both sides in a balanced presentation - one that does not spare the NPS from close scrutiny - and he examines influence on the Park Service from both political parties. Along the way, he teases out the role of science as a policy guide, the place of values in the controversy, and the influence of strident personalities in the debate. In tracing the history of motorized winter recreational use of the park from the earliest days of winter visitation in the 1930s to the present, Yochim shows that what is at stake is more than recreation in one park but the very mission of the NPS - and whether political machinations will keep it from protecting the park and accomplishing that mission. ""Yellowstone and the Snowmobile"" allows readers to better understand this controversy, one that is unlikely to go away any time soon.